There's greater than usual volatility in world stock markets at the moment. It's a reminder that having your life's savings only in stocks is always a gamble. (A gamble by the way that I don't personally take). It's also a reminder as I heard one commentator say, that the stock market is not the real economy. I then explored with my client the 11 questions people in his business need to answer with actions in order to increase and sustain momentum, regardless of what the stock market is or isn't doing or any other factors where people have no real influence. 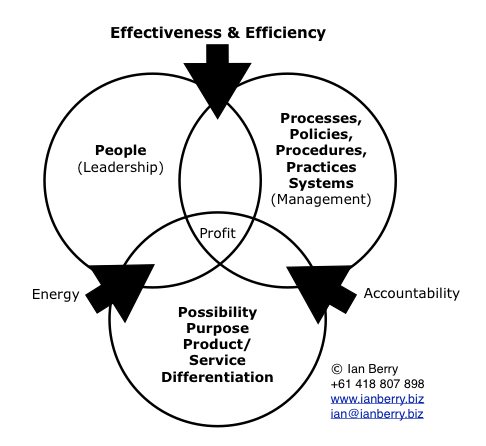 1) How high are the levels of positive and productive energy in all the interactions and transactions of the business? 2) Is leadership leading to more people leading? 3) How can processes, policies, procedures, practices and systems mean it's more simple for people to bring their very best to their work every day? 4) What changes need to be made to ensure that leadership and management are resulting in greater effectiveness and efficiency? 5) How can the ways we lead and manage better result in people taking it on themselves to be accountable? 6) What more can we do that means we're different, better, or more unique than our competitors? 7) How well are we solving the problems of our employees and customers? 8) What more can we do that helps to solve the problems and challenges of the world? 9) How much do people feel better as a consequence of doing business with us? 10) How can we become more of whom we're capable of becoming? 11) Can we dream bigger? How much more is possible if we set our aim higher? How would people at your place answer these questions? So what did you achieve this week?